The Seniors perform their group waiata before the #FNGT17 competition. Here's the junior group waiata for #FNGT17. Hush Dance Group perform in the Senior Finals at Far North's Got Talent 2017. Totara-Rimu Semenoff & Saphyre Florian from TKKM o Te Rangi Āniwaniwa and Kaitaia College perform in the Senior finals. Te Hauroamairangi Tawhara-Crown from Te Kura Kaupapa Māori o Pukemiro performs in the Senior Finals at #FNGT17. Crete Riiwhi-Tupe from TKKM o Te Tonga o Hokianga performs in the Senior Finals at Far North's Got Talent 2017. Tihema Riwai from Kerikeri High School performs in the Senior Finals at Far North's Got Talent 2017. Bowen Matthews & Manawa McLeod from Taipa Area School perform in the Senior Finals at Far North's Got Talent 2017. Anika Wineera from TTKM o Te Tonga o Hokianga performs in the Senior Finals at Far North's Got Talent 2017. Te Aroha Pawa from Te Kura Kaupapa Māori o Pukemiro performs in the Senior Finals at Far North's Got Talent 2017. H.K.A from Broadwood Area School perform in the Senior Finals at Far North's Got Talent 2017. Kapowairua Waitai from Te Kura Kaupapa Māori o Te Rangi Āniwaniwa performs in the Junior Finals at Far North's Got Talent 2017. Kees Cherrington from Paparore School performs in the Junior Finals at Far North's Got Talent 2017. Te Koha Shortland from Te Kura Kaupaoa Māori o Pukemiro performs in the Junior Finals at Far North's Got Talent 2017. Dance Wild perform in the Junior Finals at Far North's Got Talent 2017. McKenzie Boynton from Kaitaia Intermediate performs in the Junior Finals at Far North's Got Talent 2017. Blake Bennet from Kerikeri High School performs in the Junior Finals at Far North's Got Talent 2017. 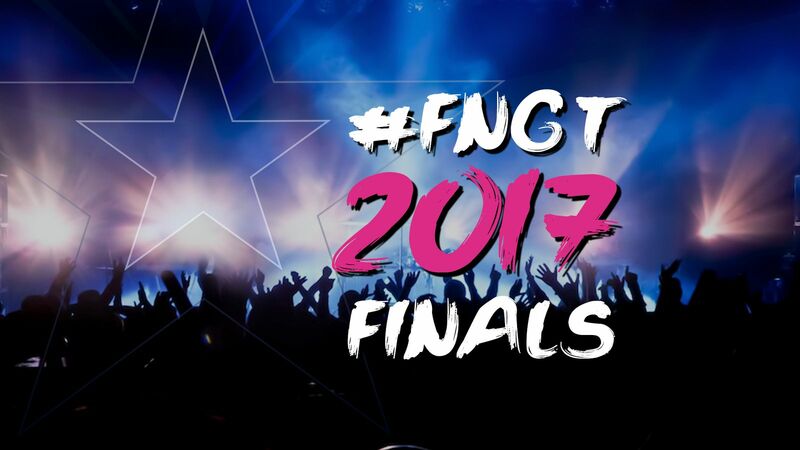 Watch all the performances from #FNGT17 on-demand!